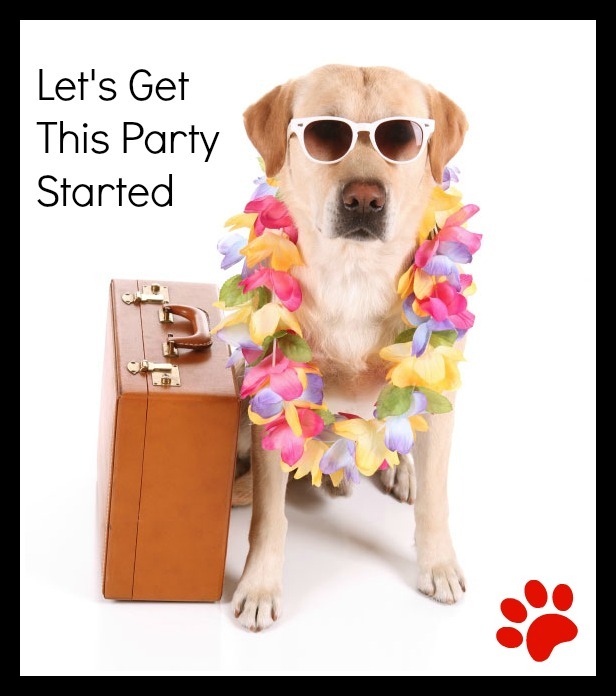 Springfield Side Kick Dog Training Blog: Summer Vacation Time Is Here! Health Checks. Bring your dog to the vet's for a check up before going on an extended trip. Make sure all his vaccinations are up to date; shot records with you. Health certifications are required for airline travel. "Live Animal" label, arrows upright, with owner's name, address and phone number. Stock the crate with a comfortable mat, your dog's favorite toy, and a water bottle, and your dog is ready to go. Make sure your dog has a sturdy leash and collar. The collar should have identification tags with the dog's name, your name, and your home phone number, as well as proof of rabies shots. Consider a permanent form of identification, such as a microchip (see CAR). You may fare better if you're taking a cruise. The QE2 luxury cruiser, which sails from New York to England/France, provides special lodging and free meals for your dog. However, you should check the policies of the cruise line or ship you will be traveling on before making plans to take your dog on a cruise with you. Find out in advance which hotels or motels at your destination or on your route allow dogs. Many do not, or have size or breed restrictions. If your dog is allowed to stay at a hotel, respect other guests, staff and the property. Remember that one bad experience with a dog guest may prompt the hotel management to refuse to allow any dogs. Be considerate of others and leave your room and the grounds in good condition. Toys - just like kids, your pets are going to have a more enjoyable time when they have a few familiar goods to tote along with them. This can help promote healthier adjustment to a change of environment, regular exercise and overall fun! Treats - since dogs may be accustomed to a particular diet, don't be too enthusiastic about them becoming the next "Anthony Bourdain" of the canine world and try too many different goodies. Stick with what you know, they know and certainly never let them sample anything without knowing the ingredients. If you share simple snacks like safe fruits, vegetables and plain, clean foods, your dog will most likely continue to enjoy the trip. :) If you need a quick primer on safe foods for dogs, check out this nice and lovely site. Bed - Who doesn't prefer their favorite pillow or blanket when on the road? Given that most of these items are able to be collapsed or condensed, consider packing a small favorite sleep item for your pet to ensure their superior noses pick up the wonderful scent of home. Just like their human friends, pups need their beauty rest.